I could not agree more. You are a genius. This chipwich is the creme-de-la-creme of ice cream sandwiches and the mac daddy of all chip ‘wiches. This is huge. I owe all credit for this recipe to my fabulous cousin, a fellow foodie, dessert-o-holic, and amazing chef. You see, this cousin sends me recipes daily and each one is more delectable than the next. I have to stop myself from drooling directly onto my computer screen while reading them. It’s embarrassing. This recipe came through a few weeks ago, I filed it into my ever growing ice cream folder, until I realized that this one needed to be on the fast track. Well you should know that when The Husband came home from work, and saw this magnificent creation in our kitchen, he was instantly elated and then instantly pissed. Elated because the poor guy thought this big fat chipwich was for him (you should know that chipwiches are his favorite desserts) and then pissed because this dessert was not for him. Woops. Fatal error. 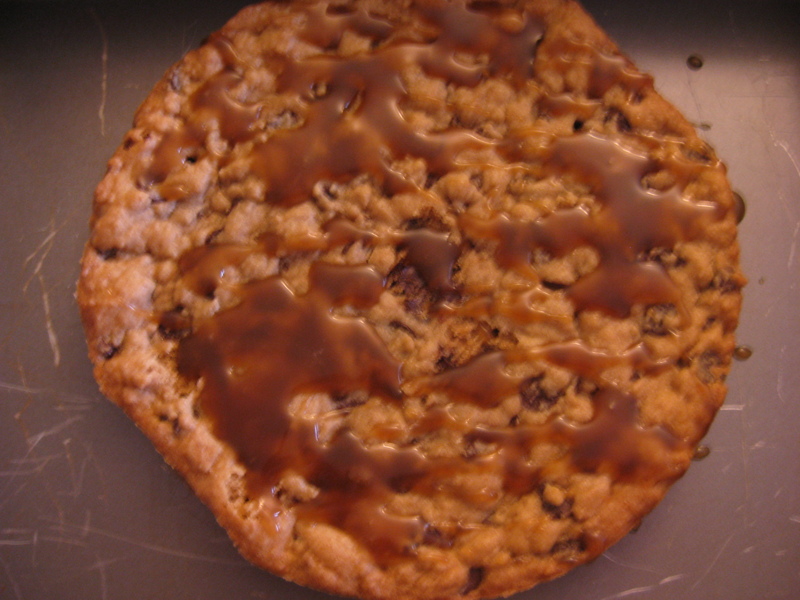 Note to self: next time you make a chipwich make it exclusively for The Husband. – Chipwiches date back to 1981 when LaMotta invented the Chipwich and began a guerilla marketing campaign, in which he trained and enlisted 50 street cart vendors (mostly students) to sell the Chipwich on the streets of New York City. Within an hour these amazing treats were sold out! – The original chipwich was named by a young student in NJ – until then these frozen treats were virtually nameless! 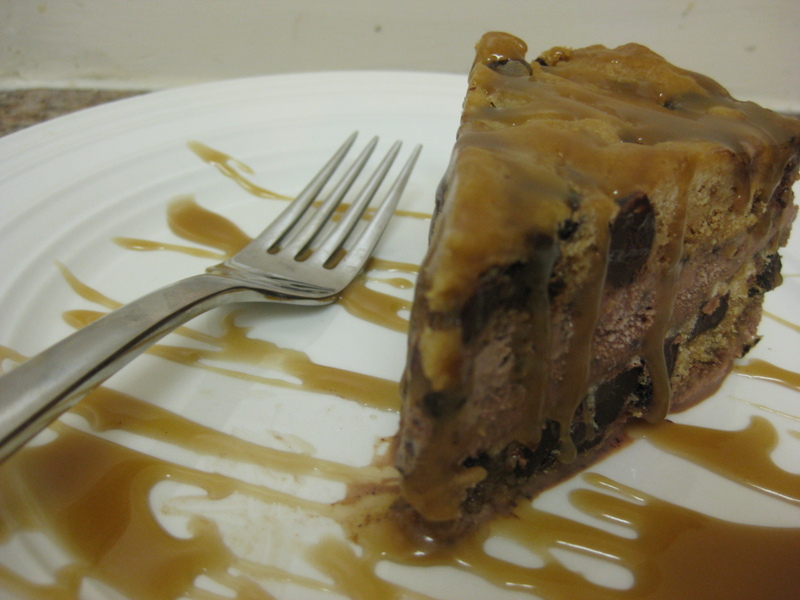 *I used the same chocolate base from the Truffle-upagus ice cream and omitted all the mix-ins. It was perfect and creamy! Preheat oven to 350°F. Spray and flour two 7″ diameter cake pans. Sift flour, baking soda and salt into small bowl. 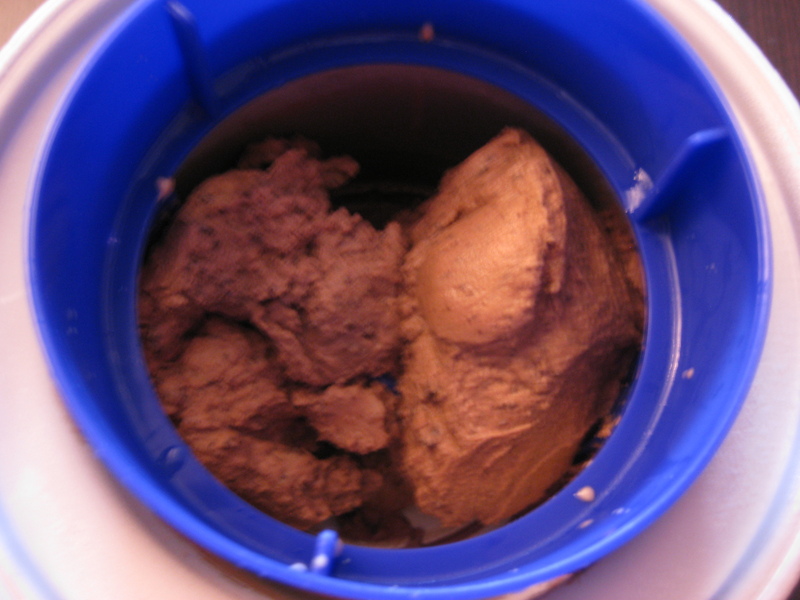 Using electric mixer, beat butter and both sugars in large bowl until well blended. Add egg and vanilla and beat until smooth. Beat in flour mixture. Stir in chocolate chips. Drop half of dough by large spoonfuls into each prepared pan; spread evenly. Bake cookies until light golden, about 14 minutes (Whatever you do, don’t overcook, so I would bake for 12 minutes and then check each minute afterwards. 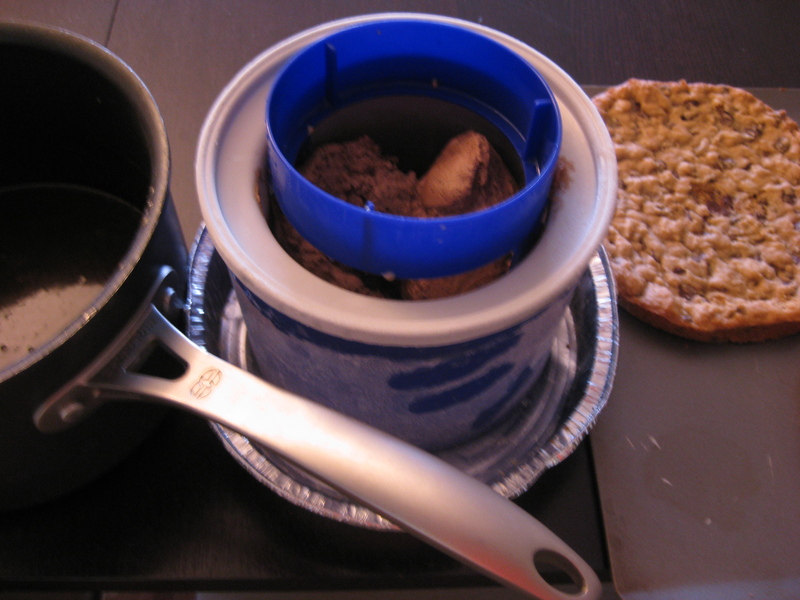 You want the cookie to be a bit gooey since you’re going to freeze it…) Cool cookies in pans on racks. Carefully turn out cookies. When you’re ready to serve the cake, remove from the freezer and let it stand until ice cream is slightly softened, about 5-8 minutes. Rewarm butterscotch sauce over low heat, cut cake into wedges, drizzle with sauce and enjoy! Really good, but not great and here’s why. 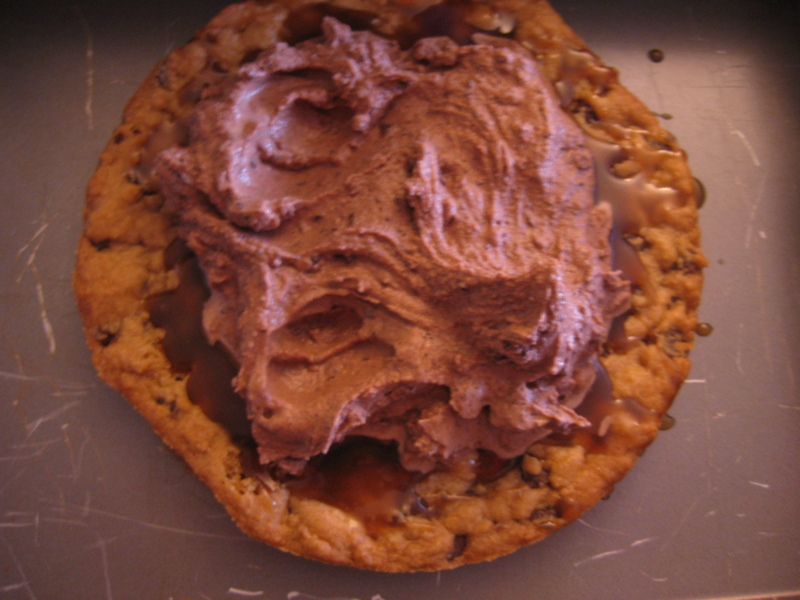 Each individual component of this creation was delicious but once put together and frozen for 5 hours (it needed to harden and mold into its shape) the cookie got too hard. The problem was, if you thawed it before eating, the cookie softened but then the ice cream melted. Uch, it was a catch 22! 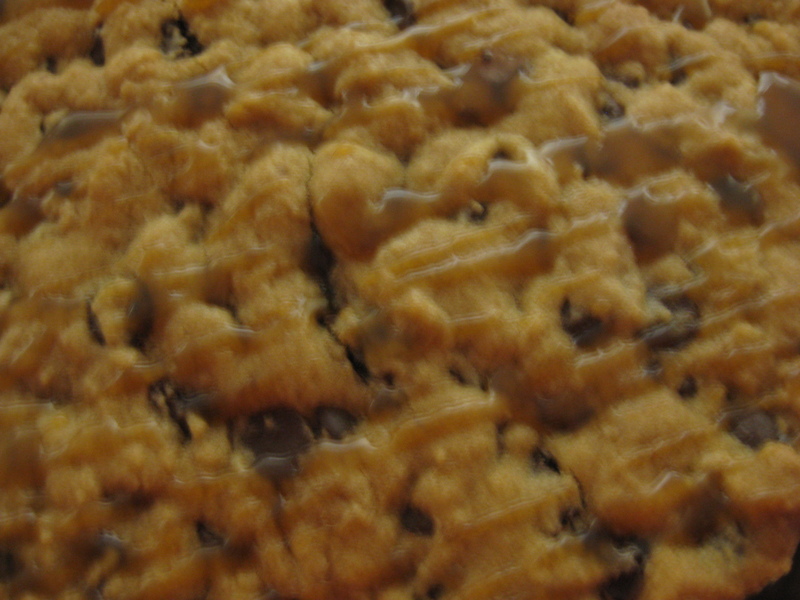 So, the next time I make this (or perhaps just in a later post, you’ll see…) I will make individual cookies and fill them immediately before eating, that way the cookies are soft and fresh – just like the good ‘ole chipwich! 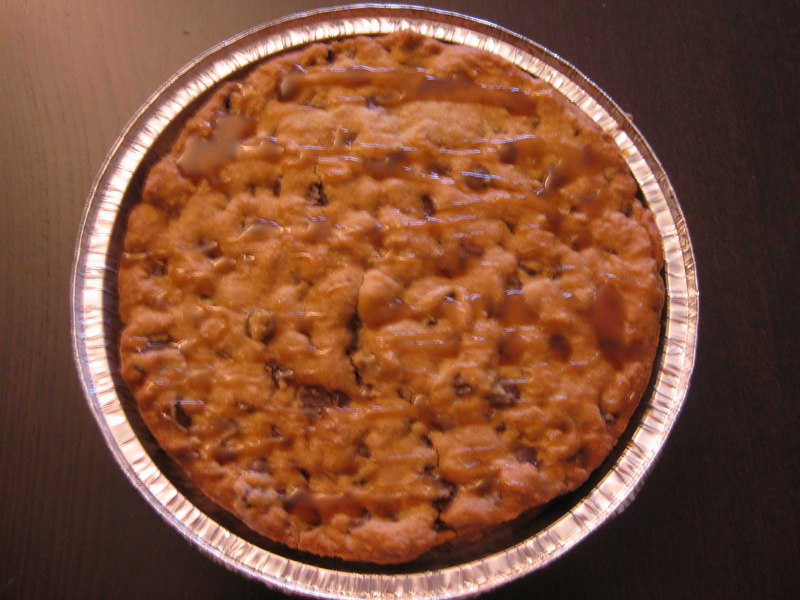 Having said all that, I served this treat at a party, and it was definitely a crowd pleaser! 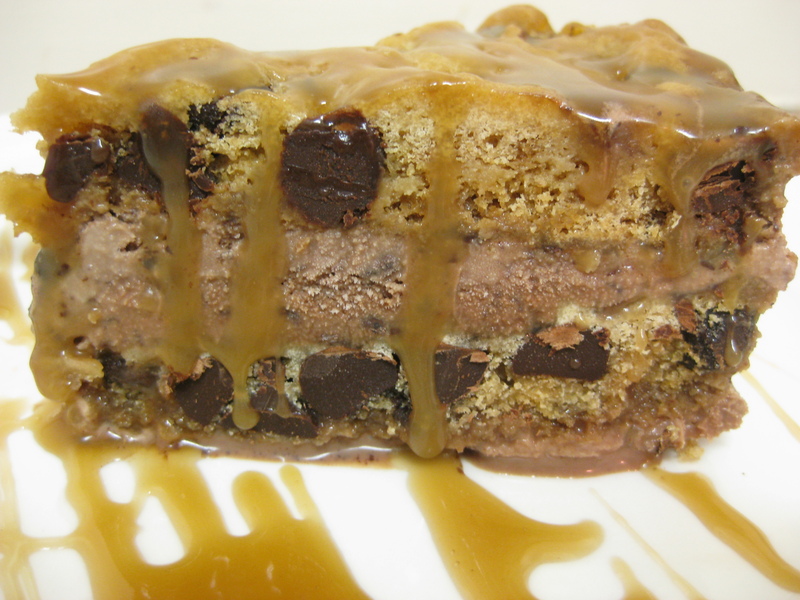 Heck, what’s not to love about 2 chocolate chip cookies smothered in butterscotch sauce and chocolate ice cream? Enjoy! Man, I am still dreaming about this thing!